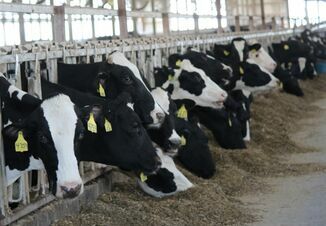 At midnight, December 14, the U.S. Department of Agriculture's (USDA) Grain Inspection, Packers and Stockyards Administration (GIPSA) announced an update in regulations that "protects the rights of farmers," according to the agency. 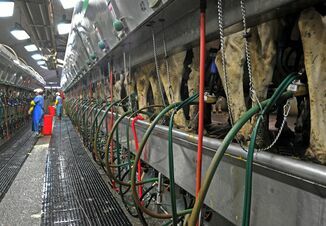 The Farmer Fair Practices Rules falls under the Packers and Stockyards Act and seeks to level the playing field for farmers who have been retaliated against by meat packers. "Poultry growers in particular are vulnerable to market risks and concentration in the processor market. All too often, processors and packers wield the power, and farmers carry the risk," says Tom Vilsack, Secretary of Agriculture. The Farmer Fair Practices Rules consists of an interim final rule and two proposed rules GIPSA sent to be published in the Federal Register. The interim final rule reinforces the USDA's position "that it is not necessary to demonstrate that an unfair practice harms the entire market in order to prove a violation of the Packers and Stockyards Act." One of the proposed rules regards which practices GISPA deems as unfair under the Packers and Stockyards Act and establishes criteria to protect farmers' legal rights. The other proposed rule establishes GIPSA's criteria when a "live poultry dealer has engaged in a pattern or practice to use a poultry grower ranking system unfairly." Some industry groups and policy makers have been vocal in their dissatisfaction with the move. House Committee on Agriculture Chairman Michael Conaway (R-TX) is disappointed by the last minute rule changes because he was assured these decisions would be left up to the next Administration. "It is particularly troubling given Congressional disapproval with the overreach of these costly rules dating back to their original proposal in 2010," Conaway says. The National Cattlemen's Beef Association (NCBA) officials believe these rules could jeopardize the livestock industry across the country. "As we have consistently stated, if adopted, this rulemaking will drastically limit the way our producers can market cattle and open the floodgates to baseless litigation," says Tracey Brunner, NCBA president. 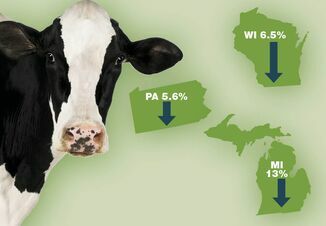 "In a time of down cattle markets, the last thing USDA needs to do is limit opportunity. The fact of the matter is, we don't trust the government to meddle in the marketplace." The rule changes could open up the pork industry and other livestock segments to even more vertical integration because of the costs of more regulation, says Neil Dierks, CEO of National Pork Producers Council. "I can't imagine a more devastating regulation on an industry," says Dierks. "The rule, which creates legal uncertainty, will destroy opportunities for many in the U.S. pork industry, with no positive effect on competition, the regulation's supposed goal." The Farmer Fair Practices Rules could be all for not as a new Secretary of Agriculture will be appointed by the Trump Administration and they could remove the temporary rules. However, several industry organizations are optimistic the regulations will stay in place. "These rules are a critical step in providing some basic fair business standards to govern how poultry companies treat the contract farmers that produce the chicken," says Steve Etka, Policy Director for the Campaign for Contract Agriculture Reform. Ranchers-Cattlemen Action Legal Fund, United Stockgrowers of America (R-CALF USA) believes the rules could help increase competition within the beef, pork and poultry markets. "The Trump Administration should support these rules because they are vital to reversing the ongoing decline of our U.S. cattle industry," says R-CALF USA CEO Bill Bullard. Echoing those sentiments was National Farmers Union president Roger Johnson, who thinks the Farmer Fair Practices Rules will increase competition to the benefit of producers and consumers. "While the Farmer Fair Practice Rules do not fix all of the fraudulent practices in the livestock and poultry industries, these rules are certainly an important step in the right direction," Johnson says. According to USDA, the Farmer Fair Practices Rules came into place after receiving more than 60,000 comments and economic analysis from GIPSA. Why are Soybean Futures Above $10?